Despite the many interventions by the Government directly or indirectly benefiting the real estate sector in recent times, many pressing problems besetting this industry have remained unaddressed. A major one among these is the issue of stalled projects, which has been at the core of buyers’ discontent. 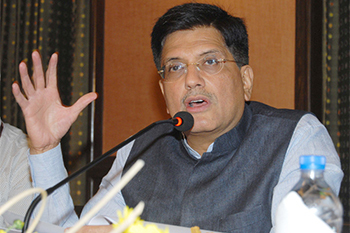 Taking cognizance of this and several other issues, officiating finance minister Piyush Goyal held a meeting with the top bankers and industry stakeholders to discuss measures that can be taken to bring the industry back on track. After RERA, this was potentially the most direct and straightforward intervention move that the Government has taken on behalf of the struggling real estate sector. The item of highest interest on the meeting agenda was the proposal to rope in the National Buildings Construction Corporation (NBCC) to complete stalled projects, a predominant burden of which is NCR. Even if 50% of the stalled projects are picked up by NBCC, the resultant construction activities would not get innumerable homebuyers off the hook. Also, if a government entity like NBCC undertakes the construction of stalled projects, the apprehension that banks currently have towards construction finance would ease out. Most stalled projects have good monetizable assets in the form of land banks and FSI that NBCC can use to fund the construction costs. Moreover, giving a push to the construction cycle is not only the need of the hour for the residential sector but also bodes well for the incumbent Government, which is facing flak for lack of job creation. Unfettering stuck projects and opening up construction funding will create massive employment opportunities, especially for EWS and LIG segments - key target segment for affordable housing. Despite the numbers suggesting an uptick in housing sales and new launches in 2018 q-o-q, there is no denying that residential real estate is yet to recover completely from the dampening impact of RERA, demonetization and GST. These regulatory changes will yield positive results in the long term, but they have pushed the real estate industry into a state of flux, and prolonged the already severe slowdown. Liquidity has dried up and developers are finding it difficult to raise funds for project completion. Rising non-performing assets (NPAs), lower profits in the real estate sector and RBIs labelling of the sector as high-risk business has also cautioned banks to lend to developers. Though NBFCs are pitching in to fill the void created by banks, their interest rates are higher than those of banks. Lack of clarity on GST and a perception that the GST rates are on the higher side have resulted in dwindling buyers’ interest in new launches and under-construction projects. With hardly any customer advances, the liquidity crunch has brought several projects to a grinding halt. Despite having all approvals in place and with every intention of completing their projects, many developers are hamstrung by lack of funds. Industry stakeholders have given various suggestions time and again, including the reduction of GST rates in the sector and allowing bank funding to developers for land purchase. Allowing banks and HFCs to fund land purchase will help developers bring down the cost significantly, which in turn can be passed on to the buyers. In the absence of a bank finance, developers resort to PE funding and other non-formal modes of funding to finance its land purchase which increases the cost of capital for them drastically. As evidenced by Piyush Goyal’s high-level meeting with industry stakeholders, the Government is not oblivious to this grim situation. Time and again it has taken measures to bring back the buoyancy in the sector. From according ‘Infrastructure status’ to affordable housing to increasing the size of carpet area for MIG I and MIG II to widen the scope of projects falling under the preferred affordable segment, we have seen some major policy moves – especially to promote affordable housing. RBI too pitched in by revising the priority sector lending under affordable housing schemes. It increased the income limit for the economically weaker sections (EWS) to Rs 3 lakh per annum from the previous Rs 2 lakh. Similarly, for low income groups (LIG), the limit was revised to Rs 6 lakh per annum from the previous Rs 2 lakh per annum. These initiatives have had a positive impact on the affordable housing segment, resulting in a sustained improvement in new launches in the last couple of quarters. If we consider the 50% jump in overall new housing launches in Q2 2018 over the preceding quarter, affordable housing (homes priced below Rs 40 lakh) had the lion’s share of supply. In fact, affordable housing supply increased by 100% in Q2 2018 over Q1 2018, with the top 7 cities (NCR, MMR, Chennai, Bengaluru, Pune, Kolkata and Hyderabad) witnessing new unit launches of around 50,100 units in Q2 2018 over the 33,400 units in Q1 2018.